Having adequate bathroom storage is a big problem in any home, whatever the size of your bathroom. Dealing with this aspect of bathroom design is important and necessary, to ensure you make the most of the available space. 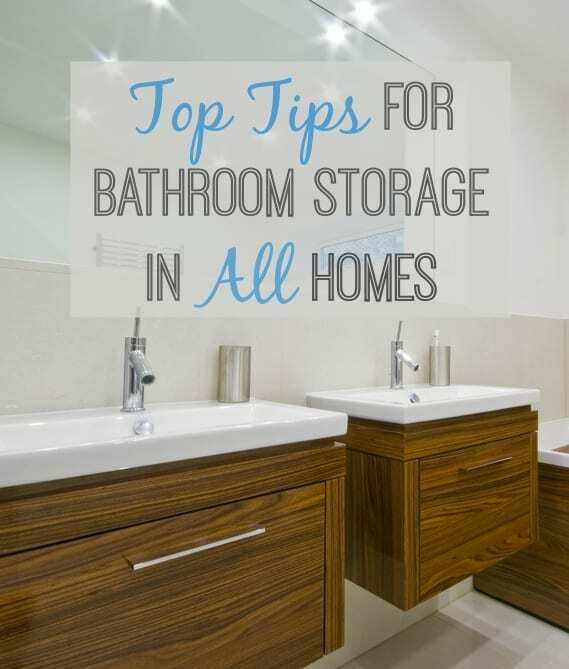 If, like me, you have a smaller bathroom, then sourcing the right kind of storage is an absolute must. Finding products and solutions to maximise space, and give you the storage that you need is an ongoing issue, particularly when you have children. So, what kinds of things do you need to consider when you’re looking for bathroom storage solutions? Of course, the first job is to decide what items you want to store in the space. Think about all the products and accessories you’re going to need to make life smoother and more efficient. Once you write it all down, you get a feel for actually how many things need a home. You may not be able to store it all in the bathroom itself, I know I can’t, but then at least you can get an idea of what will fit, and what kind of storage units you need in order to keep the bathroom clutter free. Most bathrooms have one. And in recent years, technological advances have created some rather stunning examples. Depending on your budget, you might want to consider an illuminated cabinet, ranging from energy-saving LED mirrored cabinets, to G4 Halogen versions and side-lit fluorescent mirror cabinets. If you want to research them in more detail, the bathroom cabinets sections at Bella Bathrooms is a good starting point. If you get the right size, you can accommodate a lot of the products from your list, including spare toiletries, medicines and men’s shaving equipment. Why not make a feature of your spare towels and add a few pops of colour to your bathroom in the process. There are lots of products available that enable you to stack or roll your towels, so they are on view. Store them on shelving or even hang some baskets on the wall and stack them inside. So many towels are colourful and bright at the moment, that is seems a shame to hide them away in an airing cupboard all of the time. What can I say! They’re bright, colourful and plastic, so the more you can hide them away when they’re not in use, the better any bathroom is going to look. Grab a storage box or bag, and store them on a shelf, ready to come out when the children need them. 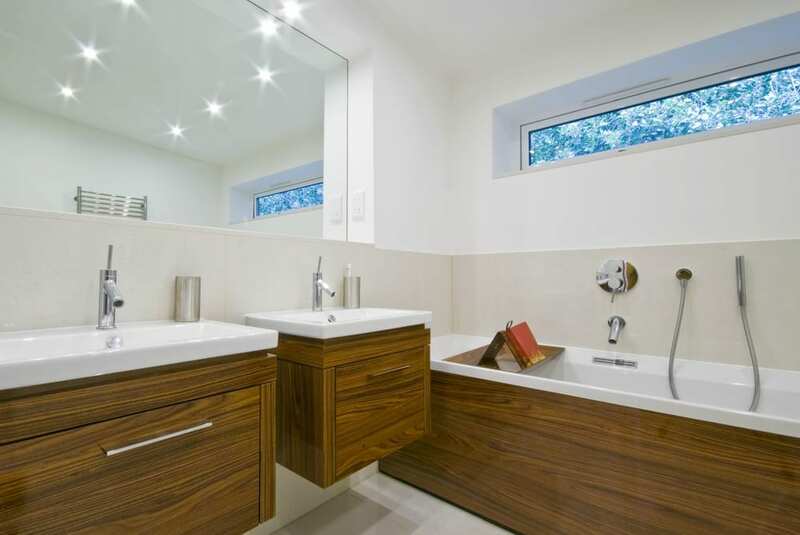 There’s a growing trend when designing new bathrooms to install floating storage sink units. We are actually looking at some of these for the new attic conversion. They’re great for smaller spaces, allowing your eye to see to the back of wall and creating an illusion of space, as well as providing lots of lovely extra storage. Perfect for cleaning equipment, loo rolls or cosmetics. It’s also well worth considering how to incorporate built-in storage into the room, if you are designing it from scratch. 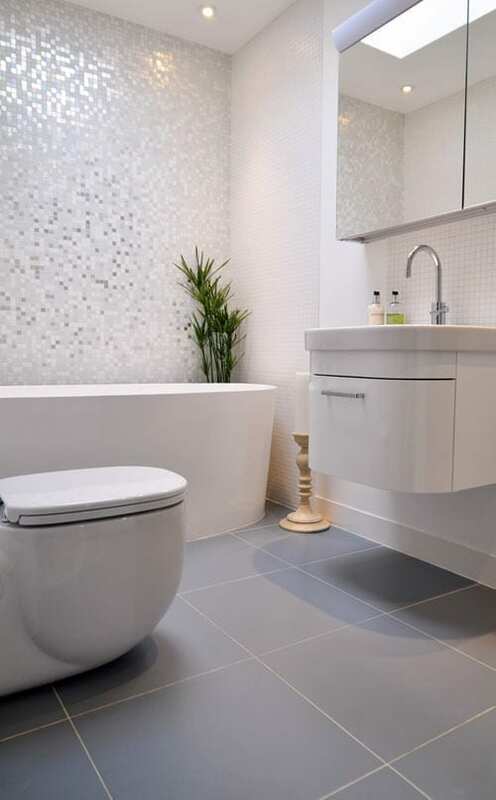 There are often lots of dead spaces in the bathroom that get under utilised. Behind the bath panel, at the end of the bath, or a fake wall, or recess around the loo or the shower cubicle. It’s well worth investigating how you can make the best use of these spaces. It may just be a few storage shelves for shower products, but that can make all the difference to the look of the room. Have I missed anything? Have you found some great storage solutions for your bathroom? Wow! I love the design of that bathroom. Great design! I love the nail polish storage racks! The idea is truly awesome! Thanks! These are really useful tips for my wife! I will share this to her. 🙂 Super neat bathroom. I love how you set-up your blog as well. Keep it up. Delighted to find your article as I am currently looking a a new bathroom design for home and storage was a sticking point, right up until I found your under sink storage solutions which are also (and very importantly for me!) off the floor!! Thank you! very nice tips you share.Its very important to know how to organize bathroom according a room size. Great bathroom storage ideas Jen. Definitely, having adequate bathroom storage has been always an issue in homes. Using the right storage units can make a big difference. There are some effective storage solutions that can make bathroom or any room of our home clutter free and more organized.